Fortnite update 1.98 (7.20) patch notes for PS4, Xbox One, PC, and mobile released. 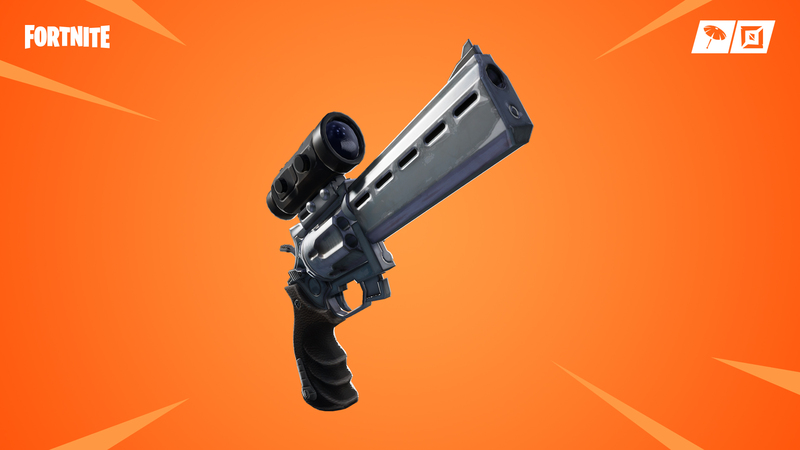 According to the official Fortnite 1.98 patch notes, the new update has added new Scoped Revolver, Glider Redeploy Item, LTM – One Shot and more. Apart from this, Fortnite version 1.98 also added fixes for issues related matchmaking, ping, server performance, crashing, framerate drop, lag, and more. Previously, Fortnite Season 7 update was released with the new areas such as Frosty Flights, Polar Peak, as well as the new X-4 Stormwing plane. The update also added Explore Fortnite Creative, a new experience where you can create, play, and save anything you can imagine on private islands! In Save the World, the Stand and Fight campaign comes to an end as Canny Valley Act 3 was released. Unfortunately, after the last update, many players are experiencing a number of issues when trying to play the game. Today’s Fortnite version 1.98 is expected to fix all these issues. Check out more details below. Fortnite update 1.98 fixed a bug that could cause you to lose the ability to switch weapons if firing a Grappler while crashing a vehicle or interacting with an object during travel. Fortnite version 1.98 fixed Balloons not being popped by explosions. Fortnite 1.98 fixed an issue where the center dot of the reticle while scoped did not line up with the center dot while unscoped. Fortnite update 1.98 added a third decimal place for mouse/controller sensitivity to allow for more granular values. Fortnite version 1.98 adjusted map art to more accurately represent player & marker positions. Fortnite update 1.98 fixed grenade throw animations not playing the follow-through when watching other players throw a grenade. Fortnite version 1.98 fixed players not being able to destroy the Boombox from certain distances. Fortnite update 1.98 fixed an issue where players would sometimes take 2 instances of impact damage from getting hit by the X-4 Stormwing. Fortnite version 1.98 reduced the volume of the X-4 Stormwing. Fortnite 1.98 fixed incorrect boost audio loop for Quad Crasher on mobile/Switch. Fortnite version 1.98 fixed a red background showing up when the chat window is opened while doing a ‘Full Screen’ preview of a Loading Screen cosmetic. Fortnite update 1.98 fixed a bug that was preventing the Deadfire Outfit from being reactive in game. Fortnite 1.98 fixed an issue where players were able to exit their Island with the Phone tool by being inside Prefab structures. Fortnite update 1.98 addressed a bug where Traps would remain floating in the air after the supporting wall was removed. Fortnite update 1.98 addressed a bug where players blocked from loading into Creative with a network error. Fortnite 1.98 addressed a bug player placed walls would show health bars more often than intended. Fortnite update 1.98 addressed a bug other walls could vanish when copying a wall using the Phone. Fortnite 1.98 addressed a bug after rotating certain walls while moving on Grid, those walls would not trigger as being allowed to have traps placed on them. Fortnite version 1.98 added a message to the HUD that displays how to start the match on an island when on a shared or featured island. Fortnite 1.98 reduced the time it takes to load into Creative and to switch between islands. Further improvements will be coming in future updates. Frostnite Challenge 3 – New Wave Holiday – Where there’s one, there’s more…Each wave of enemies contains all of the same types. Defeat enough of the same type of enemy to unlock new waves! Ice King and Ice Queen – Bow down! Purchase the Ice King from the Event Store and unlock the Ice Queen by completing this week’s Frostnite Challenge. Fortnite update 1.98 increased Frostnite XP, Gold, and Ticket rewards, especially at later waves, to better incentivize longer survival times. Fortnite 1.98 fixed an issue causing the Stabilize the Rift device not to shut off the correct visual laser impact fx when the laser is destroyed. Fortnite 1.98 added a confirmation dialog after unslotting a collection book item, telling the player that the item has been added to their inventory. Fortnite version 1.98 fixed an issue that can disable the ability to navigate on the map. Fortnite update 1.98 fixed issue with the quest play button playing its animation at incorrect times. Fortnite version 1.98 fixed bug where if the player ended Frostnite mode while in build mode a red/semi-transparent trap placement preview mesh would be visible in the end mission screen. Fortnite patch 1.98 fixed a bug where some car destruction visual effects were not rotated properly, causing the car’s position to visibly jump once the car was destroyed. Fortnite 1.98 added mount and dismount sounds to the Hoverboard. Fortnite 1.98 fixed bug with the end of day score loop getting stuck on. Fortnite update 1.98 addressed a bug with which caused failure bonus audio to trigger more than once. Fixed crashing issues with Fortnite 1.98. Fortnite version 1.98 update has added performance and stability improvements. Added fixes for players reported glitches with Fortnite 1.98. Fortnite update 1.98 for PS4 and Xbox One is now available for download.